What is your Companies Sustainability Story? If sustainability is important to your company and office culture, that is the best question that you can ask of your business partners. If their buildings/manufacturing sites are built and operated in a way that minimizes environmental impact. I would love to share a sustainability story featuring our main partner Herman Miller. Herman Miller built a 295,000 square foot LEED production facility on 37 acres which included 6 acres of wetlands. 5 years later, they developed an issue with paper wasps. Instead of using pesticides, which would harm the adjacent wetlands, the team came up with an innovative solution. The solution was as simple as adding 12 hives and 600,000 honey bees. The bees displaced the wasps from the facility without the use of pesticides or exterminators. 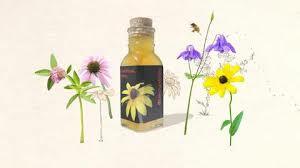 Not only did Herman Miller create an environmentally friendly solution to the problem, they now have 3,000 bottles of honey to share with guests every year along with beautiful spring wildflowers. This story represents one of the best ways to achieve sustainability. Being committed and empowering your employees to do the right thing while finding creative and innovative solutions that others can learn from. Stay tuned for next month’s office sustainability blog where you will learn about Google’s effect on the building industry with the “Red List”. The Red List; a list of prevalent building materials used in the past that are harmful for the environment and factory workers.